Two pages have Irish words added as pen annotation. Faint shadow of old price label to back otherwise very clean. Bumped to points. Binding is sound. Hardback. 52pp. 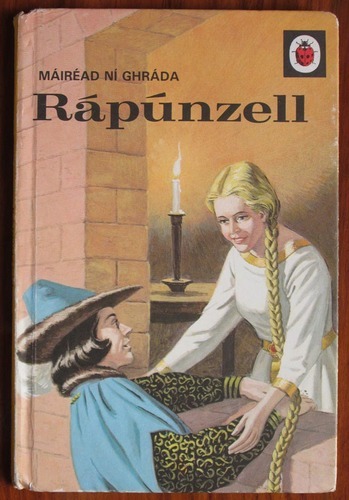 Irish language / Gaelic translation of Rapunzel . Ladybird format: illustrations throughout including to endpapers. Illustrated by Eric Winter. Matt illustrated boards. No price. Last title listed on the back.